How will the EU regulate new crop breeding techniques like CRISPR? 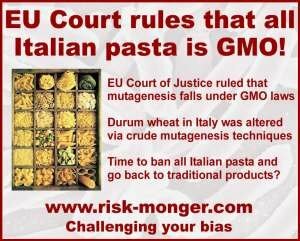 On 25 July 2018, the Court of Justice of the European Union ruled that plants bred via recent mutagenesis techniques would fall under the suffocating 2001 GMO regulatory regime. The pre-designed hurdles this legislation intentionally imposes on researchers (data, time, money) will lower the likelihood of approving any seed breeding innovation in the EU to, well, zero. And most importantly, this is a failure of the European Commission’s incapacity to regulate, further demonstrating the total weakness of the Juncker Commission as it lurches pathetically to the end of its dreadful mandate. As a starting point, we need to consider what mutagenesis is and what all the fuss is about. Mutagenesis is the editing or transformation of genetic information through some form of mutation. This mutation can be done naturally and often quite randomly as genes evolve over millennia. Evolution can be accelerated by health researchers and plant biologists through various techniques like radiation or chemical interventions. 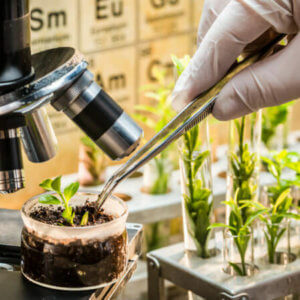 These research techniques have been around for more than 70 years and have brought us enormous benefits in the field of seed development and agritech (as well as healthcare, home-care and industrial processes). One of the early success stories was when Italian researchers in the 1960s radiated durum wheat to help it resist fungal outbreaks – the high-quality Italian pasta known across the world today is thanks to this “genetic modification”. The early technology was quite crude and hit-and-miss (defined as a type of “roll of the dice” often “zapping” rows of seeds to see what happens) but continues to benefit plant breeders in developing countries providing local solutions to local crop problems. While the activists and ideologues would want you to believe this is all being done by evil corporations (“Big Seed”), most innovations are coming out of research labs in developing countries. The new breeding techniques developed in the last decade (like CRISPR-Cas9) are more precise (isolating or targeting the genes needing to be edited rather than randomly zapping the whole lot). A few points to keep in mind. What troubles many vulnerable people about GMOs is when a gene is taken from a foreign substance and inserted into a target organism (giving irresponsible fear-mongers the possibility to concoct all sorts of lucrative scare stories). Mutagenesis does not introduce any non-native DNA but merely edits or mutates the sequence, mimicking what often happens in nature. In many cases, the edited organisms are indistinguishable (except for its better performance, taste or resistance). And this is what drives the activists crazy: how can you blow the whistle on technology when you can’t tell the difference. 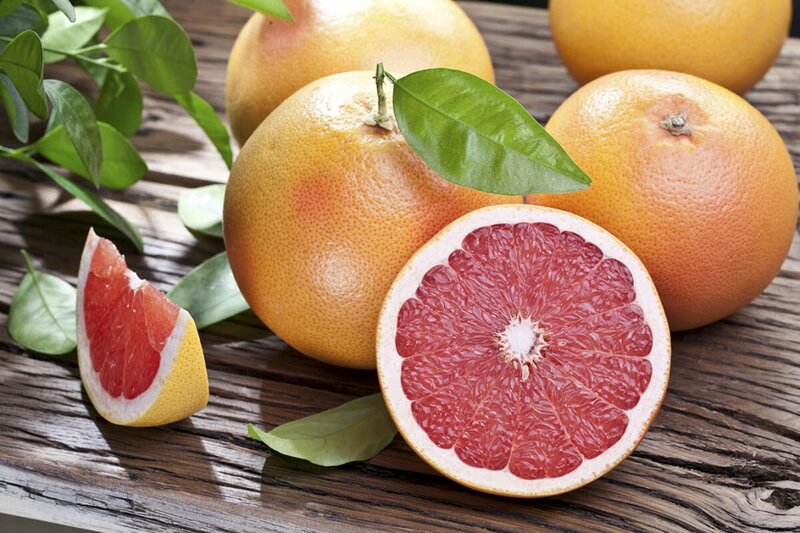 The Ruby Red grapefruit was developed through mutagenesis. I have argued that organic farmers could equally benefit from these new plant breeding techniques but the organic industry lobby, fearing a backlash from its radical left, chose to reject a beneficial technology that would greatly reduce the need for pesticides. Why? One of the developments of modern, targeted mutagenesis is that genes could be edited to resist herbicides, thus making it harder for organic farmers to compete with the more soil sustainable conservation agriculture approach. This case would not have been brought to the European Court of Justice if researchers had not cracked the herbicide-tolerance nut. I hazard to project that many seed breeding techniques would be accepted by organic seed researchers were it not for this glyphobic weed witchcraft! The applicants were all French pro-organic farming lobby groups: Confédération paysanne, Réseau Semences Paysannes, Les Amis de la Terre France, Collectif vigilance OGM etPesticides 16, Vigilance OG2M, CSFV 49, OGM: dangers, Vigilance OGM 33, Fédération Nature et Progrès (who funds all of these groups of little militants???). The short press release by the European Court of Justice spent an inordinate amount of space dealing with the potential environmental-health risks of mutagenised herbicide-resistant seeds. The only reason this case was brought forward, the only reason all mutagenesis seed-breeding techniques have been effectively banned in Europe and in developing countries that export to Europe, is because a rag-tag band of French organic farming militants are afraid it will encourage the use of herbicides in Europe. How do you spell “Stupid”??? So the decision of the European Court of Justice was not about mutagenesis, but rather, about the potential to have herbicide-resistant seeds in Europe. It was also not about science or the benefits of the research. The Court of Justice of the European Union had received a lengthy technical advice in January, 2018 from the Advocate General that stated that mutagenesis techniques do not fall under the EU definition of GMO. The Court ignored the advice. But in their politicised judgement, the court then got into a bit of a contradictory pickle. 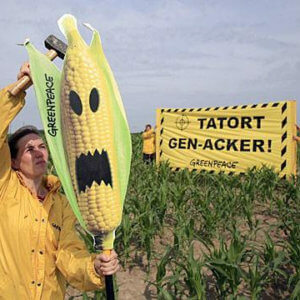 If they were to banish all mutagenesis technologies to the 2001 GMO regulatory wasteland, what would happen to the wonderful food-chain solutions mutagenesis have brought us over the last 70 years? Would we have to ban Italian pasta? 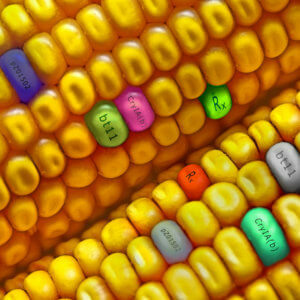 Would we have to label all foods as GMO? Even the scientifically illiterate Court of Justice recognised that might be problematic. So the Court offered a quick fix. Only the new technologies (with the targeted, precise methods of gene editing) would fall under the GMO regime (and be effectively banned). The older, random technologies … well, they were fine and could continue to be consumed by Europeans without the GMO curse. Why? Because they have a “long safety record”. … OK, Einstein, define a “long safety record”. 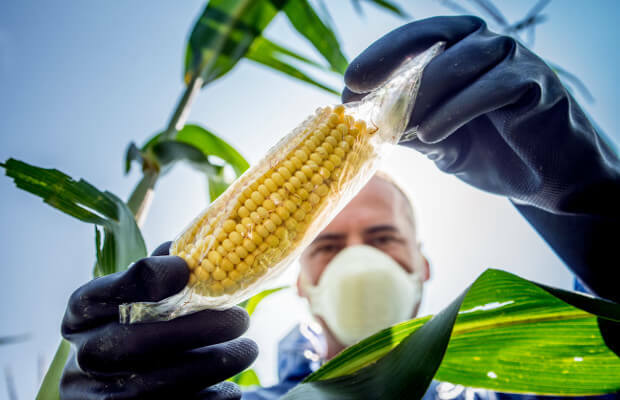 The court, wisely, decided not to get pulled into a numbers game, but suggested that those innovations developed before the 2001 GMO regulation would be considered as “conventional” mutagenesis. Those developed after 2001, well, we just don’t have a long enough safety record, and so they get to play the precaution pinwheel. Adios scientific solutions! In a supposedly evidence-driven European Union, this is not how a decision-process should be conducted. The European Court of Justice is not a scientific body – it interprets existing laws even if the evidence supporting cases is ridiculous. They recently ruled in favour of anti-vaxxers, allowing them to sue pharmaceutical companies even if there is no evidence between a vaccine and a negative effect. The NGOs have spotted this sweet-spot, have lawyered up and are piling in on all sorts of cases to overturn EU evidence-based decisions, just yesterday appealing the EU re-authorisation of glyphosate. This begs one obvious question. Why the hell was a scientifically illiterate judicial body examining a case brought forward by activist groups with no respect for science, to reach a judgement that would handcuff European researchers for generations? Where was the European Commission? Where was the European Commission? The responsible agents in the European Commission seem to have been hiding in their closet hoping everyone would just go away. They were unable to create a clear, evidence-base policy for the different breeding techniques. They were unable to find the courage to stand up to the loud-mouthed activist zealots and apply the recommendations of their scientific advisers. 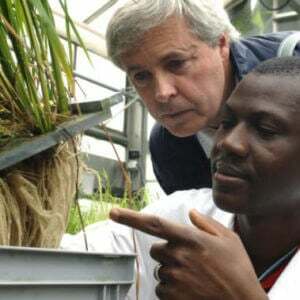 They were unable to provide leadership on defining new plant breeding techniques. Doing nothing was not a solution, it was a disgrace and Europe, this week, has just lost a large number of bright young research minds whose skills will be beneficial to consumers on other continents. For years the European Commission dithered on even defining what these seed breeding techniques were, content to have meetings, pass papers and PowerPoints around and hope people would be OK to continue without clarity. This classic Belgian waffle strategy is the perfect subterfuge for the activists to then take whatever legislation the severely constipated Commission officials cannot pass (think also endocrine disruption) to a European Court that does not care to understand the underlying dynamics and consequences of their decisions. The Juncker Commission’s only strategy has been expedience (make the problems go away) and it has led to a disparate patchwork of reactionary quick-fix legislations that will take the next leadership (assuming this time they have a vision) a full term to correct. Expedience is a policy tool for lazy cowards and nothing depicts this paralytic lack of leadership more than the present regime’s dependence on the precautionary principle as a way to avoid confrontation and not make hard, necessary decisions. I pray for the day when Brussels can produce a leader who does not run and hide when three little [activists] in chintzy bee costumes show up on the Place Schuman. Such zealots are generally mean-spirited and capable of doing awful things (trust me, I get that), but Commission officials need to be strong and responsible (that’s why they get paid so much). These small activist groups do not speak for Europe nor its people. For example, we hear (repeatedly) how 1.3 million Europeans (mostly Germans on the extreme left and far right) signed a petition saying they don’t want glyphosate. So what! Commission officials take these bands of activists seriously without realising that their little petition expresses the will of less than 0.3% of the European public. I have 12 million European farmers standing beside me begging for someone with the courage to stand up in the European Commission and defend the science on agritech and allow farmers the freedom to farm. I guess until now, we have not yelled loud enough for those expedient, reactive cowards to listen up. This article originally ran at The Risk Monger as Europe’s Plant Breeding Exit: A Regulatory Failure and has been republished here with permission.